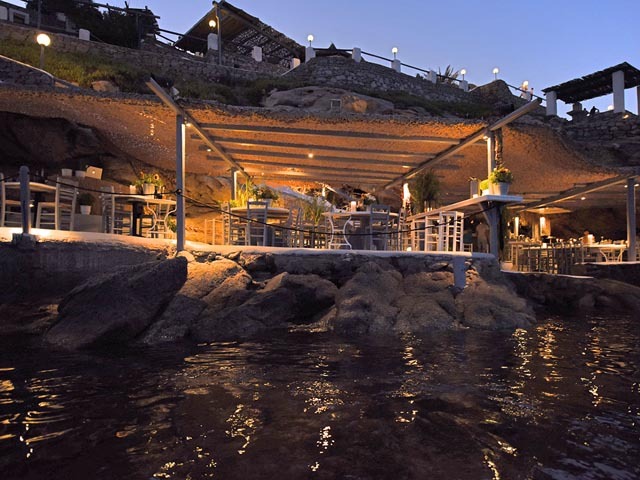 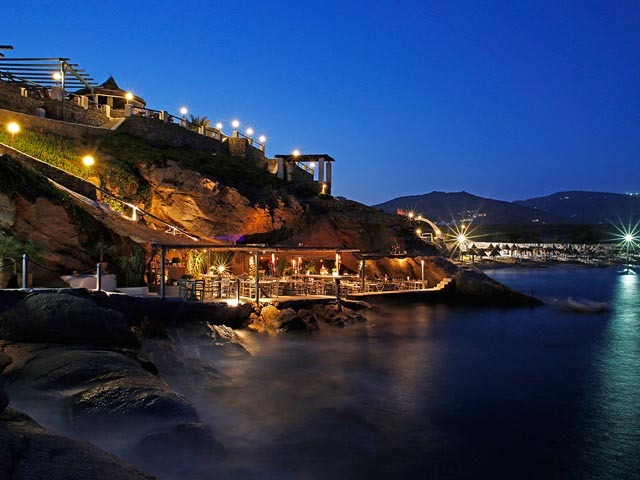 Nestled inside a cave, after which it has been named, the fully renovated restaurant is banking on the pre-eminence of its seafood dishes and the brand new cocktail bar. 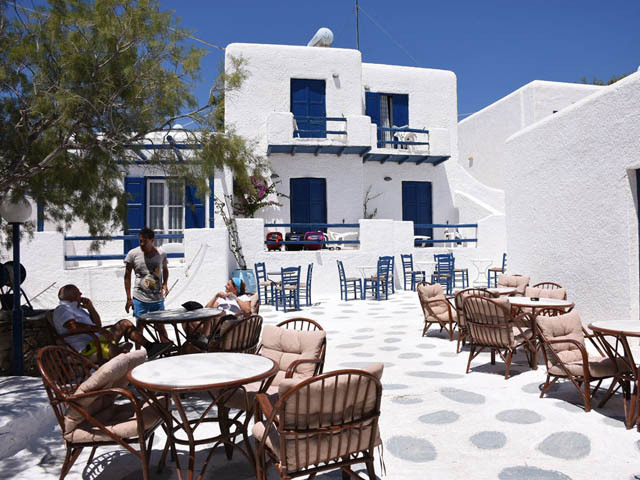 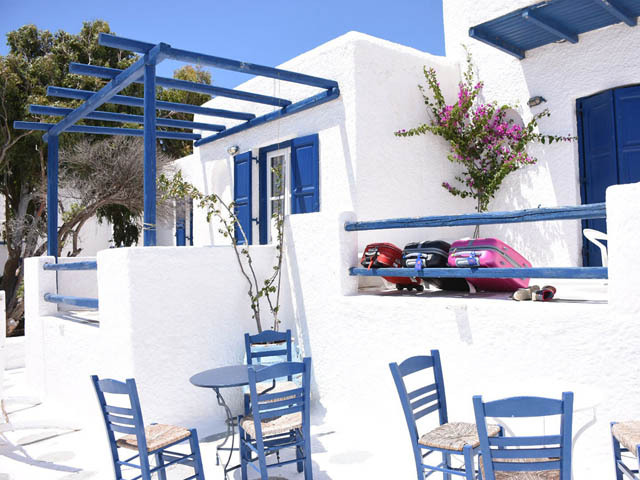 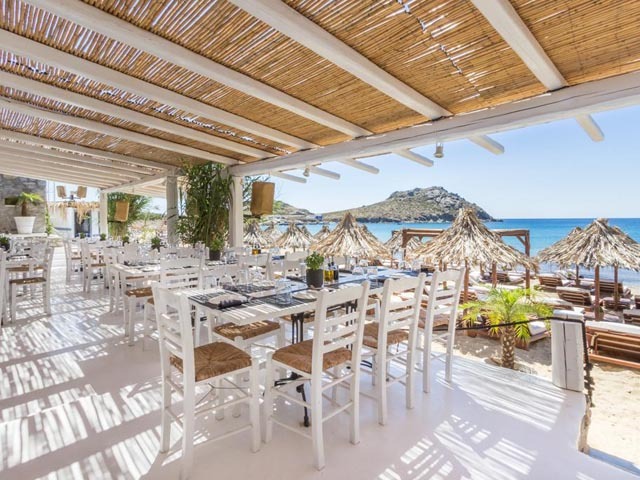 The star of the menu is the lobster pasta – you will realize this as soon as you see the tank with live lobsters and sea urchins – whilst the cuisine in general is a tribute to the treasures of the sea of Mykonos, with fresh fish on the grill, dishes of mussels, smooth clams and warty venus clams, as well as shrimp and crayfish with two types of pasta: in red sauce or white wine. 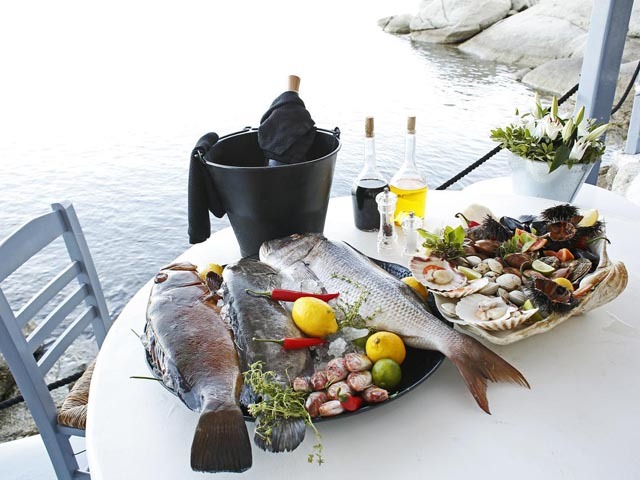 A delectable alternative is the seafood paella, while the desserts of the Italian pastry chef Giacomo are another strong asset. 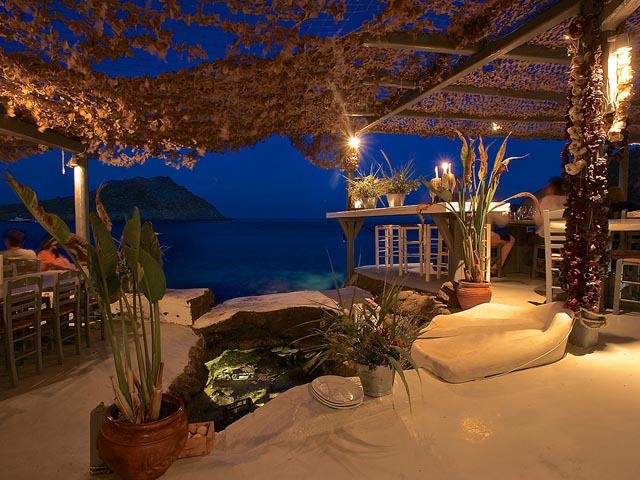 Extra points should also be awarded for the natural setting and exotic decor which are perfectly suited to the relaxing lounge music. 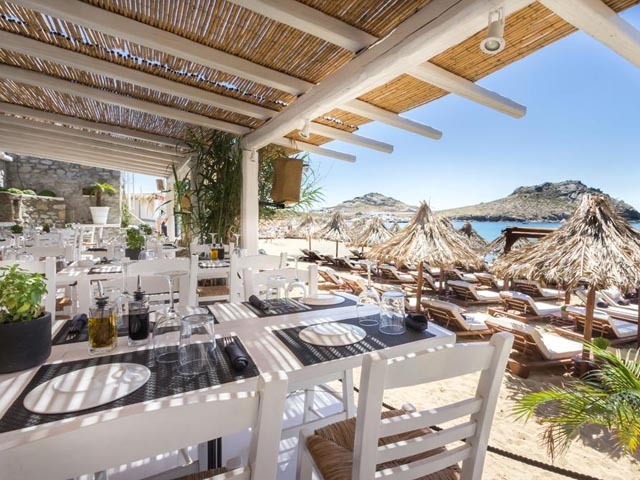 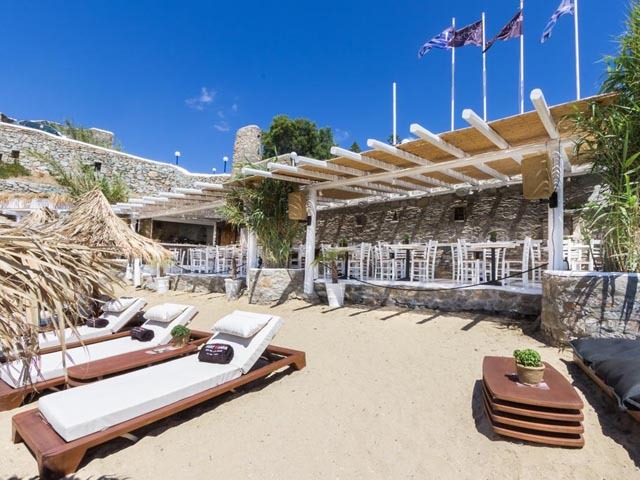 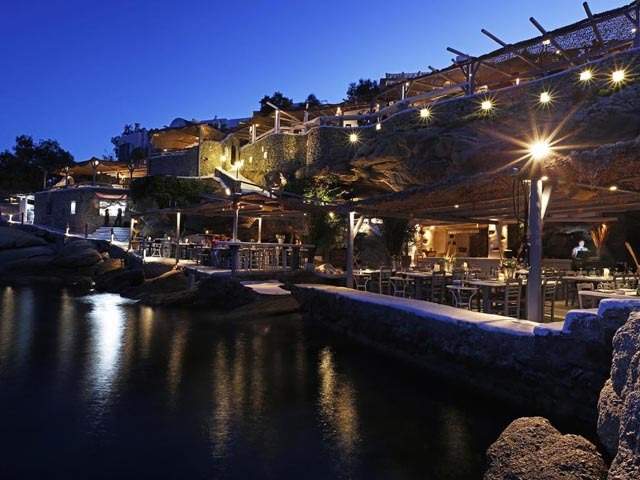 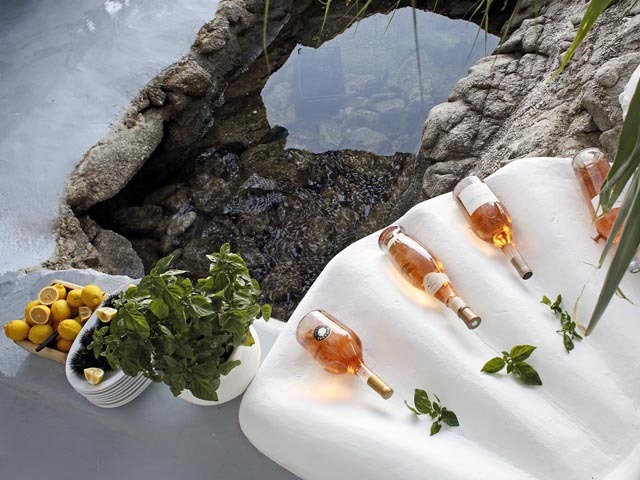 In such a natural setting, located in a cave, the renovated Spilia beach bar restaurant keeps you loyal to the beach with delicious seafood dishes and enchanting cocktails just a stone’s throw from the water with exceptional views of the deep blue Aegean. 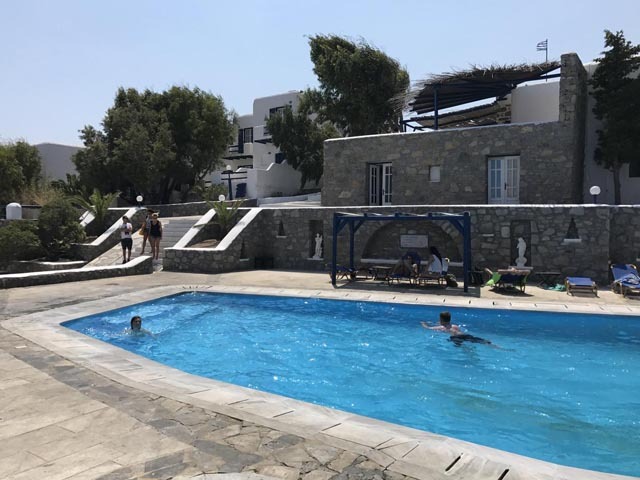 Book Early for 2019 and save up to 40% !!! 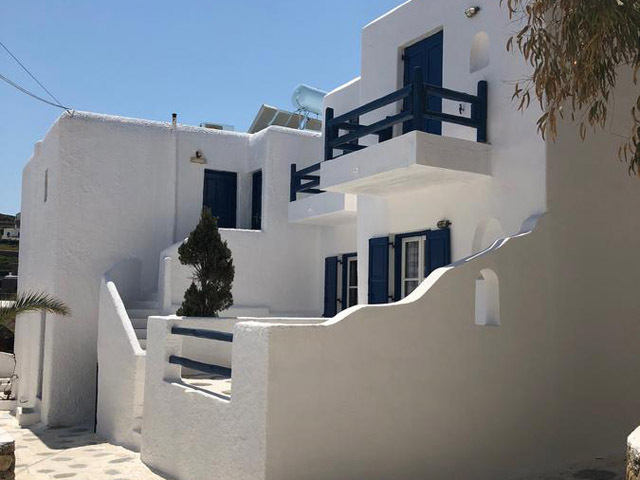 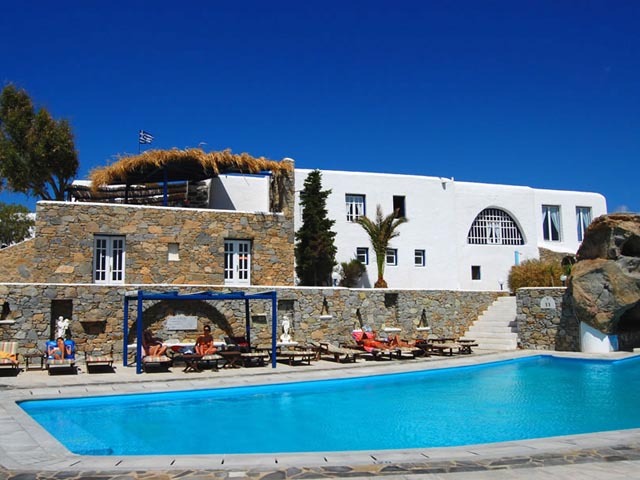 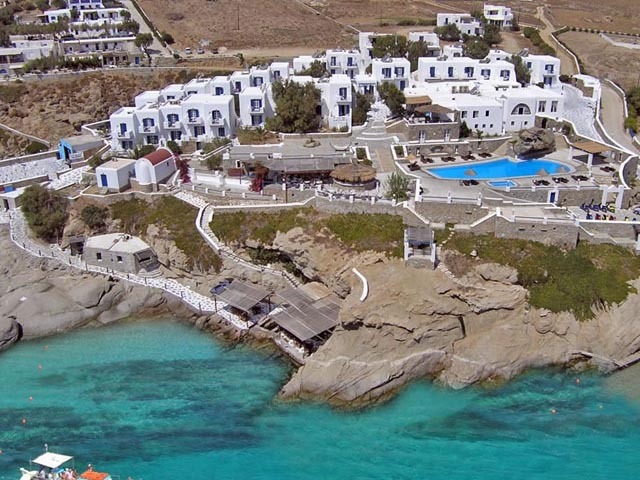 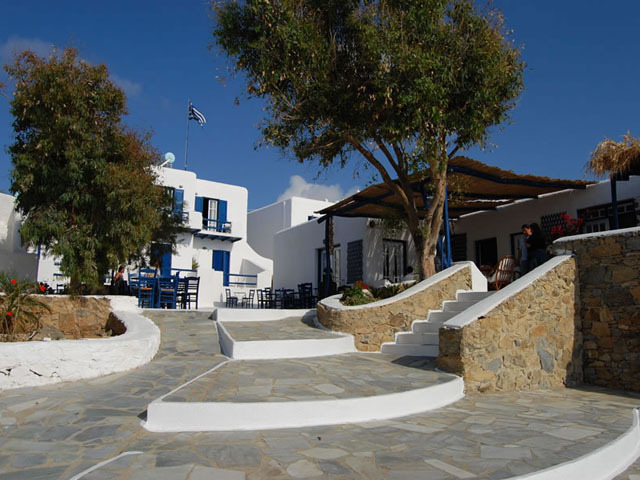 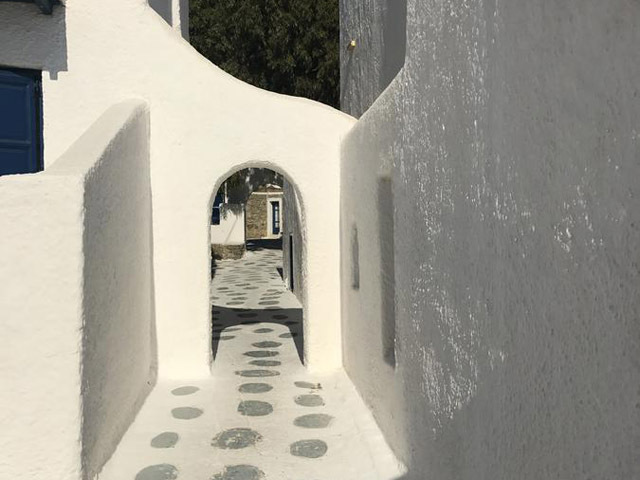 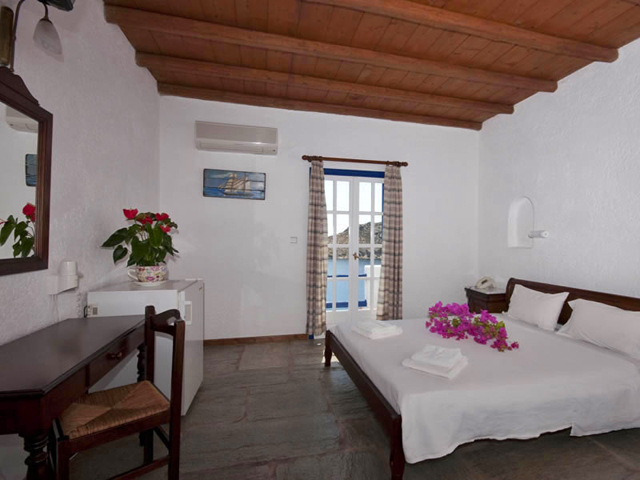 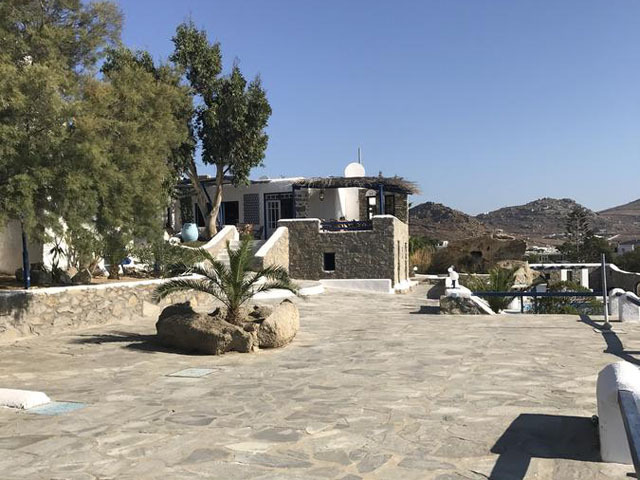 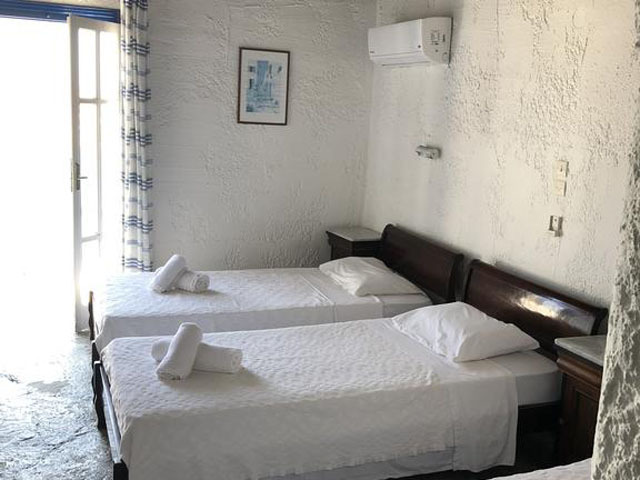 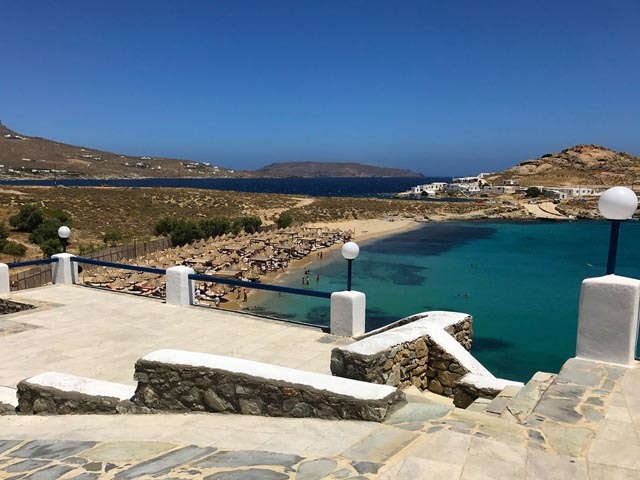 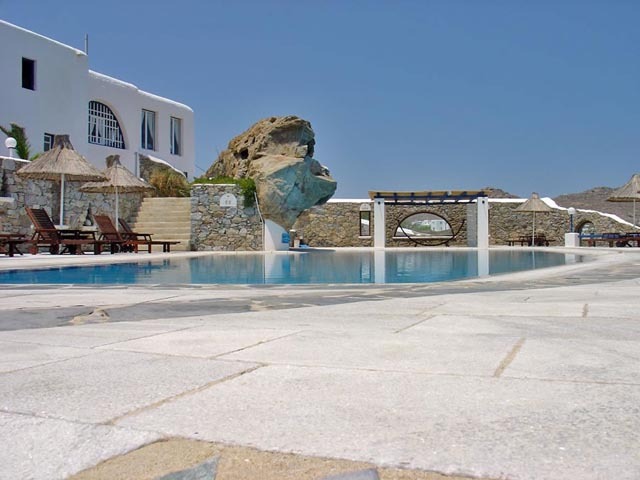 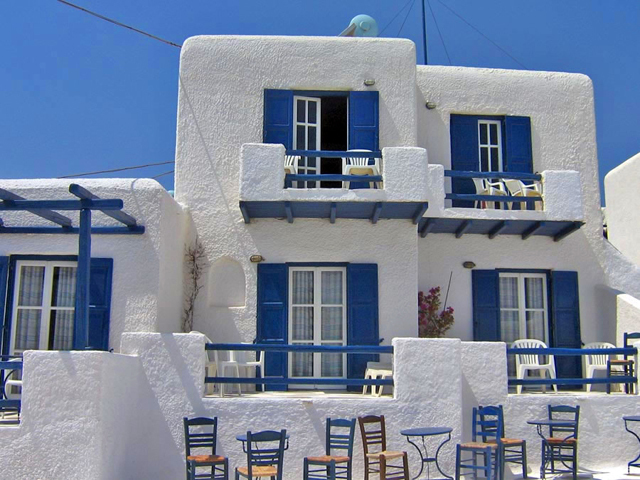 Open: May to October...Hotel Anastasia village is a simplex of 85 bungalows with a wide range of facilities and activities, the hotel is located just 20 meters away from the sea, at the most famous island of Greece, and one of the most attractive tourism destinations of the world, Mykonos.